Kalead (Khalid Nicholas Batson) is a Trinidadian born Barbadian raised and based reggae/conscious artist, musician, writer, videographer and producer. He is also the lead singer of the Barbadian based band Kayaweh. His music and writing revolves mostly around themes of positivity, spiritual awareness, identity, equal rights and justice as well as romance and resilience. With a history in Literature, History and Politics, he decided shortly after graduating The UWI (with honours) to devote his time and talents to the world of art and music. To date he has made several accomplishments in the field of the arts and has been recognised numerous times locally (NIFCA) and also regionally (Small Axe) for his writing ( prose and poetry) and music. Despite being new to the reggae scene (2017) he has already begun touring internationally and thus far has shared the stage with performers such as Luciano, Cali-P, Micah Shemaiah, Keida, Israel Voice, Cedric Myton, Wormbass just to name a few. He is also already an international recording artist currently doing work with the likes of G-Ras (Hungary’s Reggae sensation), Dre Tosh (Grandson of the late Peter Tosh) as well as a list of prominent producers from Jamaica and Europe. He is also been invited by the likes of veteran performers Luciano, Wormbass and Cali P and prominent producers (Zincfence family, Naptali, Bobby Digital) to partner on projects along with his band Kayaweh. He has featured and performed live on popular television and radio shows at home and abroad including but not limited to TVJ’s Smile Jamaica, HYPE TV, RETV; radio stations such as KOOL 97 FM, ZIP fm Roots 96.1 and countless others. Event wise he has covered a number of platforms including Jamaica House (the Prime Minister’s Office in Jamaica) Red Bones Blues Cafe, The Inner City Dub, Reggae Sundays, Vinyl Thursdays, Sankofa Sessions, Wormbass and Friends, Italee’s Circle of Bredrins, Jamnesia, Twelve Tribe Head Quarters (Jamaica and Barbados) Jungle Fyah with Professor Nutz. Locally in Barbados he has played at a vast number of night clubs and live music arenas in Barbados either as a lead act or a backing musician. 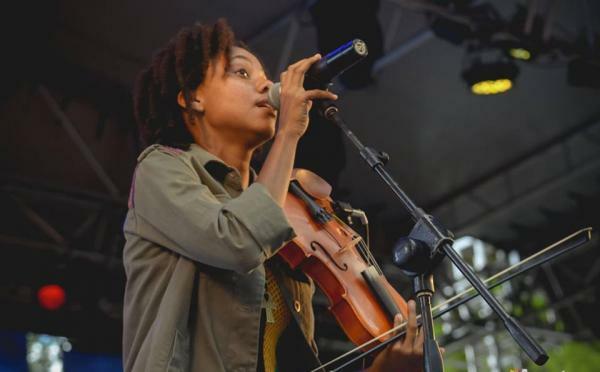 Kalead & Kayaweh is scheduled to make their first appearance on the annual Reggae on the hill Festival this year as well. 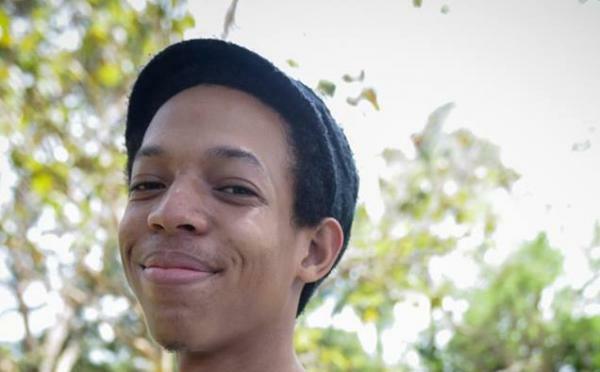 His awards locally (Barbados) have included but are not limited too Digicel's Extraordinary Person’s award, NIFCA’s most promising writer, awards from International bodies such as UNICEF for his narratives enforcing the rights of the child. He has also been the winner of several scholarships, the latest being to CNEART (El Centro Nacional de Escuelas de Arte) Cuba’s premiere art and performance institute. 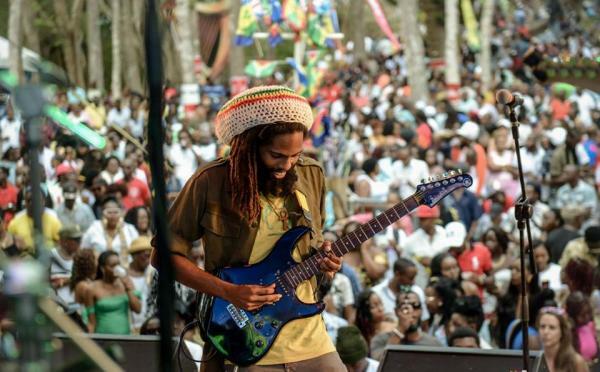 Thus far he has performed on numerous stages around Jamaica and Barbados and can be found gigging around the island (Barbados) or schooling young children in introductory courses to guitar/bass or music. He has most recently released his debut EP “Gnosis” in November 2017. In addition to his professional life as a musician he is also actively involved in a number of charities and relief/community organisation. Of these include, but are not limited too, The Roots Collective (personally developed by Kalead and company), The African Heritage Foundation, The Israel Lovell Foundation, The Barbados Youth Action Programme (BYAP), The Pan African Coalition of Organisations (PACO), the Clement Payne Movement. He has been actively engaged, whether through performance or organising, in a number of charitable events. Of these include but are not limited to, The September Third Foundation’s anti-violence against women campaign, The Youth Breakfast Program (BYAP), Solidarity for International Women’s Day, Labour Day, and numerous programs centred around Black/African History. His most recent venture has been his involvement in the community of Silver Hill for the government sponsored anti violence campaign/peace concert with Aja, well known local poet. Kayaweh (pronounced KAH-YAH-WAY) represents the main backing band for Kalead’s music, as well as a gigging band which generally provides live music and entertainment of all genres. The band consist of a combination of committed professionals and close affiliates. These musicians are managed by Kalead and violinist/singer Najuma Comissiong. The band’s foundation consist of musicians Allan Lewis (bass guitar) and Jarred Earlington (drums) Najuma Comissiong (Violin and Vocal) and Kalead (Guitar and Lead Vocal). They are all formally trained musicians. The name Kayaweh was coined by Kalead. “Kaya” represents the spirit of the most high, the natural mystic that binds all living things in creation and “Yaweh” is an old Hebrew name meaning I am that I am. The name Kayaweh in total reflects these meanings and represent as well the themes expressed in Kalead’s music. 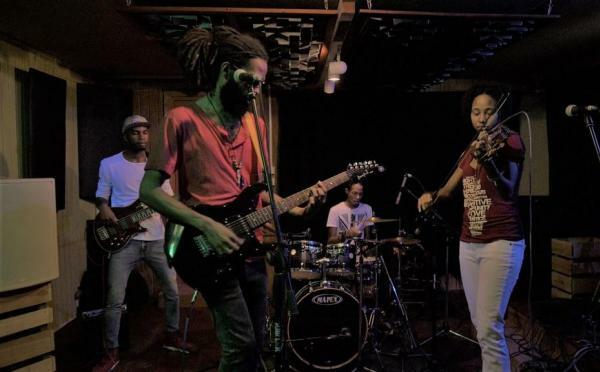 Influence wise the band is reggae based but there are other elements of rhythm and blues, folk, spouge (a Barbadian genre) jazz and dancehall present in their styles and songs. The primary mission of Kalead and Kayaweh is good works, education and entertainment. Music and art are the mediums. Kalead and the band can be found online on facebook instagram by searching @kaleadmusic in the respective search bars. They can be found on Youtube as well by searching Kalead & Kayaweh.